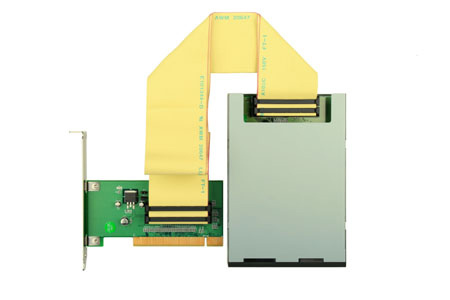 PCI-to-CardBus adapter provides 3.5" front drive with 1 slot. 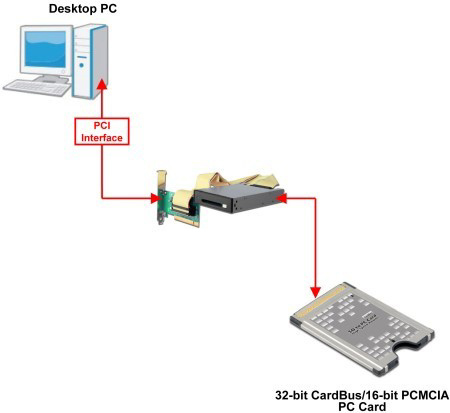 Support all kinds of application in CardBus / PCMCIA interface, like Internet access via 3G DataCard / WLAN, ATA Flash / Memory Card Adapter, etc. Support both 3.3V low-voltage 32-bit CardBus cards and 3.3V/5V dual-voltage 16-bit PCMCIA cards. Data transfer rate is up to 133MB/s. 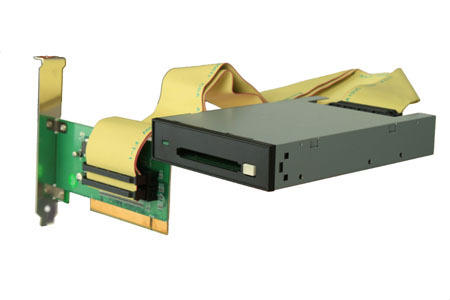 Support plug & play and hot-swappable CardBus and PCMCIA cards. Native driver for Windows XP and bundled ISA-IRQ routing driver software routes 16-bit PC card IRQ to shared PCI INT#. Front-slot design for easy access and hot-swapping. 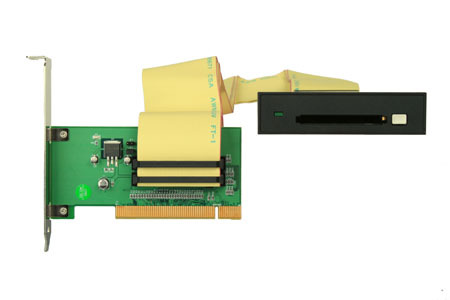 18-inch PCI flat-ribbon cable connecting between PCI-adapter and front-access reader - ideal as test equipment requiring the setup for external mounting. Compliant with ACPI and PCI Bus Power management 1.1. Compliant with PCI Local Bus Specification 3.0. Compliant with PC Card Standard Release 8.1 16-bit / 32-bit Specification. Ambient Temperature under bias 0℃ to 70℃. Storage Temperature -40℃ to 125℃.